Camac pumps are centrifugal in design and constructed of rugged CPVC, PVDF, Polypropylene, 316 Stainless Steel and Rubber Lined Steel. Most models are available in both horizontal and vertical configurations. Mechanical seals are standard, with water cooled double mechanical seals available for extreme duty applications. Hostile environment energy efficient motors are also available. Vertical Plastic Pumps - Minimum Maintenance, Long Service Life. Vertical Plastic Sump Pumps - Up to 8 Foot Column. Minimum Maintenance. 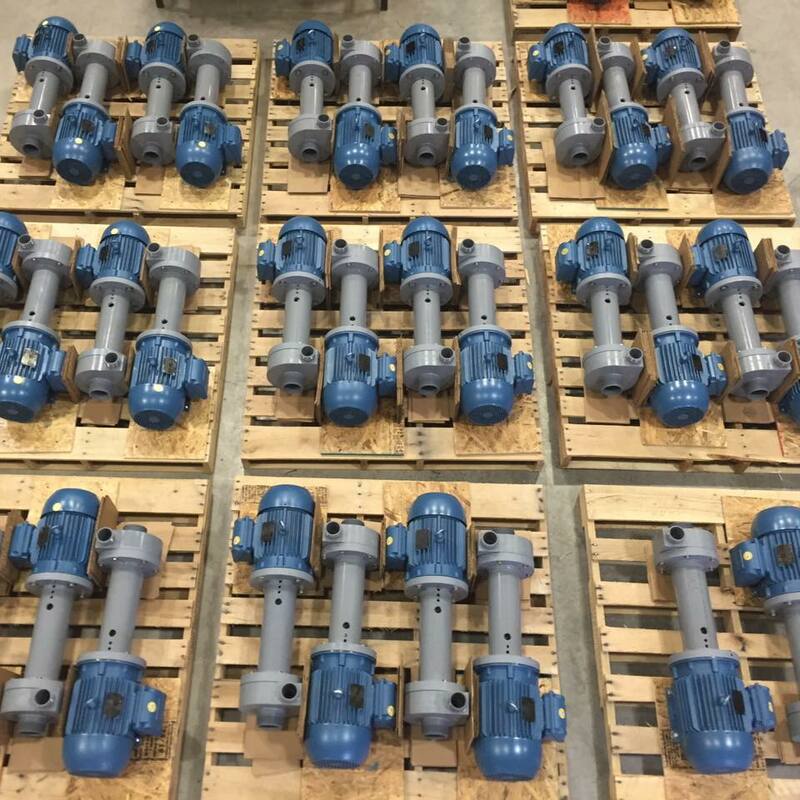 Steel Rubber Lined Pumps - All Rugged Construction to Provide Long Life.